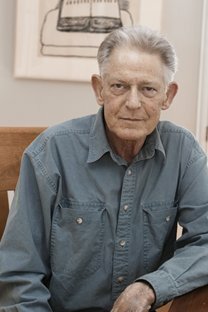 Bill Berkson. A born-and-bred New Yorker (charter-member of the“New York School“) but gloriously bi-coastal (a long-time resident too of San Francisco, he was professor emeritus and taught writing and art history at the Art Institute there for over 25 years). His art writings can be found in three lucid and essential volumes, The Sweet Singer of Modernism and Other Writings (2004), Sudden Address- Selected Lectures 1981-2006 (2007) and For The Ordinary Artist (2011) (as well as in many so-far-uncollected forums). His poetry, likewise, spread over a variety of publications, (most notably in Portrait and Dream – New and Selected Poems Expect Delays (2014) (from the same publisher). A note appears here (from the Paris Review). More obituary notices and memory and appreciation to follow. He died in San Francisco this morning. He was seventy-six.